Drinking in excess in one sitting and over time takes a serious toll on your health. Alcohol can affect your body in several ways. Some symptoms are temporary and subside as the alcohol in the body burns off. Some effects of drinking can become quite serious and are based on the amount of alcohol consumed and the regularity in which it is imbibed. Alcohol affects every system in the body. Long-term use can lead to long-term issues and the amount taken can severely impact these issues for the negative. In the Brain, alcohol interferes with the communication pathways, affecting how the brain looks and works. These disruptions are responsible for change in mood and behavior, and can make it harder achieve clear/rational thinking. Coordination is also lowered. In addition to physical effects, alcohol abuse can impact your mental health. However, research has also shown that drinking in moderation may actually help protect healthy adults from developing coronary heart disease. 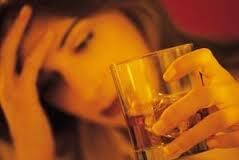 Heavy drinkers can experience a variety of problems and liver inflammations. Steatosis is a condition categorized by excess fat build-up in the liver. Drinkers who consume regularly for years and years tend to suffer from chronic liver diseases such as Cirrhosis, Alcoholic Hepatitis, and Fibrosis of the liver. In the Pancreas, alcohol causes the production of toxins that can eventually lead to pancreatitis, a dangerous inflammation and swelling of the blood vessels that inhibits effective digestion. Over-consumption of alcohol weakens the immune system, making the body more susceptible to disease. Chronic drinkers contract diseases like tuberculosis and pneumonia faster and easier than those who drink in moderation or abstain altogether. The body’s ability to ward off infections is affected even up to 24 hours after being intoxicated. According to the NIAAA, more than 30 conditions are listed in the WHO’s International Classification of Diseases, 10th Edition, that include the term “alcohol” in their name or definition. This heavily indicates that alcohol consumption is a necessary cause in the occurrence of these conditions. In each of the chronic disease categories that are listed above, detailed data is available, that shows women as having a higher risk of suffering from these conditions than men who have consumed the same amount of alcohol. According to the NIAAA, differences are lower when smaller amounts were consumed. Alcohol should be consumed responsibly by a person of the appropriate age. When alcoholic is abused it can lead to a lifetime of destruction.